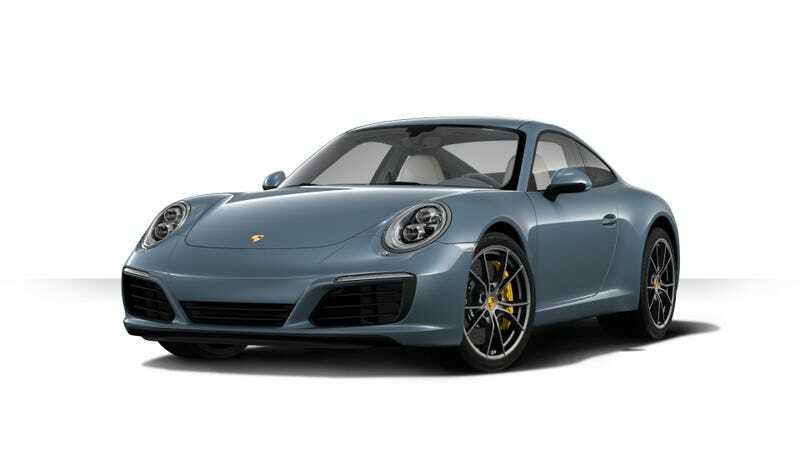 How Would You Spec Your 2016 Porsche 911? The naturally aspirated 911 Carrera is dead, and you know what? I ain’t even mad. I would be quite happy with 420 horsepower of turbocharged goodness from the 3.0 liter engine. What would yours look like? The configurator is right here. I’m really digging the new Graphite Blue paint that has a nice vintage feel and the two-toned Graphite over Crayon interior. I’ll throw in some Mahogany trim, because I like to be classy up in this piece. And I don’t care how good the PDK is, I’m getting 3-pedals. After I went a little nuts with the options like the Sport Package, carbon-ceramic brakes and other goodies, my total is $141,740. Yikes! I guess I better start saving now. Ok, Jalops it’s the weekend and you have nothing important to do. Go build your 991.2 Carrera!